Saratoga is a beautiful little town located off of the west side of Santa Clara Valley that is known for its popular wineries and abundant hiking trails. Though the town itself may be small in size, it boasts a plethora of great shops and restaurants for locals and visitors alike to take part in. I go to Saratoga every couple of months to get away from the hustle and bustle of San Jose to unwind my mind and take pleasure in the serenity that is found there. My favorite spots to collect my thoughts are either at the botanical gardens that are filled with lush vegetation or Sue's Gallery Cafe. When you pull up to Sue's, you are greeted to a welcoming little shop that has plenty of outside seating and is a perfect spot to meet up with friends or family. Walking inside the cafe is like a breath of fresh air. 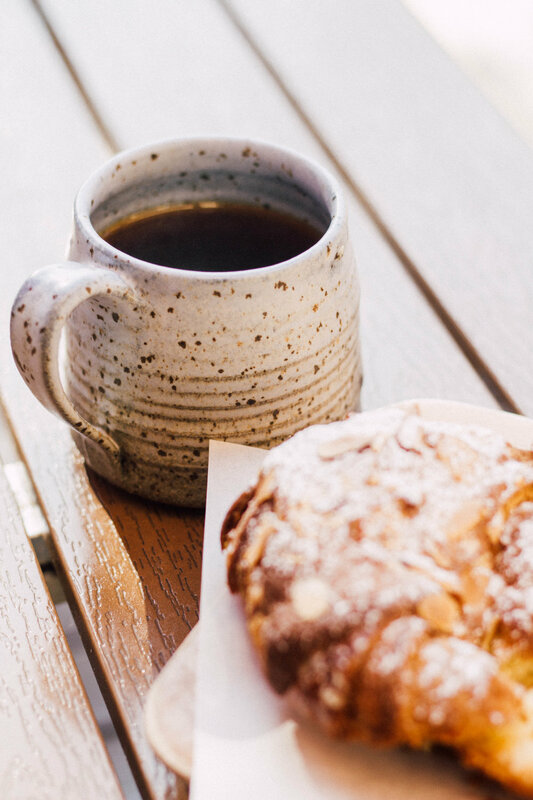 The decor is minimal yet soothing and the array of grey and rust-colored handmade mugs makes you want to swoop one up and take it home with you! The cafe has everything a coffee snob like myself loves: a nice environment to get work done, a friendly staff and an amazing list of drinks that range from Kenyan pour overs to silky matcha lattes. If you are like me and sometimes are slow to pick what you want, the staff at Sue's are happy to talk with you about your flavor profile and what type of coffee or non-coffee drinks you tend to go for. The shop serves up Sightglass Coffee which is a favorite among the coffee snobs up in San Francisco and also serves a decent amount of yummy pastries and toast options for foodies as well. Whether you are in Saratoga to enjoy the scenery with friends or take time for yourself, Sue's Gallery Cafe is one place you do not want to miss on your journey to the hidden gem of the Santa Clara Valley.